When CNBC questioned the activist investor Carl Icahn on EBay Inc (NASDAQ:EBAY), the answer that it received was geared towards peace and amicability rather than war which has been brewing lately. Ebay has been describing Icahn’s actions as over-reaching, unduly aggressive and aimed towards achieving his own personal agenda. On his part, Icahn took a stand that he would prefer negotiations over proxy war and to this effect, would try and reach for a solution over the forthcoming weeks. In response to Carl Icahn’s relentless persuasion, EBay Inc (NASDAQ:EBAY) has made public its plan to divide the company wherein one part would focus on commercial operations and the other, comprising of PayPal, would concentrate solely on online payments. Preparation for the imminent split is already underway in form of massive job cuts, shares buy-back and including in its board three new members, one of whom is Icahn’s representative. Cutting down jobs to the tune of 2400 employees implies disposing off 7% of its total work-force and as a result of this step, the company is likely to add $100 million to its treasury over the first quarter. 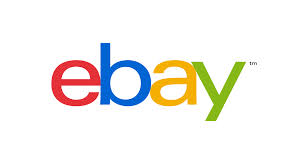 Overall, EBay Inc (NASDAQ:EBAY) intends to save at least $300 million by the time 2015 comes to an end. Amongst the three new board members is Jonathan Christodoro as a representative of Carl Icahn, Frank Yeary of Citigroup and Perry Traquina, erstwhile CEO of Wellington Management Co. Subsequent to the announcements, shares of EBay Inc (NASDAQ:EBAY) showed a 3% increase by the end of trading session.